My First Migraine Fundraiser Race! We were walking to get coffee on a Saturday morning. It’s a walk Hart’s taken many times in the six years we’ve lived here, but I’ve never been able to join him. Until a few weeks ago. Spending time with friends and family, working, exercising, cooking, cleaning my house, eating whatever I want… After 14 years of disability during which I have lived and breathed migraine, being able to do the normal activities of life feels like I’m on constant vacation. The indescribable joy I feel is one reason I will be walking in the two-mile portion of the Miles for Migraine race in Phoenix this Saturday. This is the first walk I’ve been healthy enough to participate in, so I will be celebrating the pleasure of having a body that is now capable of walking a couple miles without keeling over. I’m also walking for the millions of people whose lives have been rendered unrecognizable by migraine. Far too many of us have spent years buried under this illness. I would still be housebound and nearly bedridden without programs that fund migraine research. If you’re in town and able to join me, I’d love to see you on Saturday, March 18 (here’s the registration form; March 16 is the last day to register). And if you’d like to donate migraine research—even $5 is a huge help—here’s my Miles for Migraine pledge page. If you work for a company and would like them to match your donation, you can donate through that link and then email shirley[at]milesformigraine[dot]org for details on the follow-up paperwork. Thank you for being a part of my life. Even if we’ve never met (or even emailed), the support of The Daily Headache readers has been vital to me through these difficult years.You’ll be on my mind during the walk. I wish relief for every one of you and believe that through efforts of programs like Miles for Migraine, it’s possible we will all find a reprieve. A national news anchor is putting together a five-part video series on migraine for a major health website and is looking for people who have migraine to participate in several segments. In addition to talking about basic migraine information and treatment, the series will also share what migraine is really like and how it affects our lives (and our loved ones). They want to hear the stories of people with a broad range of migraine experience (chronic or episodic) and of different ages, genders, and life circumstances. Travel may be required, but not necessarily. I’ll be participating and would love for you to join me! If you’re interested, please fill out the form at this link and submit it by midnight Pacific time on Sunday, March 12. The questions are to help the producer find participants best suited to different videos and figure out where filming will take place. I will forward the information onto to her and she will contact you directly if you fit what they’re looking for. Speaking with the producer has me excited about the project. They are genuinely interested in educating people about migraine and are earnest about these videos being used for advocacy. They also clearly want to get it “right”—to portray migraine and its impact accurately. I believe the videos will a great tool for spreading the message about migraine. 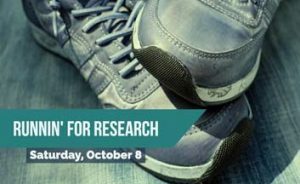 October 8 is the date to participate in Runnin’ for Research! Three cities will host a 5K run and one-mile walk to raise money for research into headache and migraine disorders. Runnin’ for Research was established as a 501(c)(3) nonprofit in 2015. It’s mission is to further “research, awareness, empowerment and advocacy in all areas of headache and migraine disorders.” The organization raised donated $17,434 to the American Migraine foundation in 2015 and $6,313 to AMF in 2014. Dr. David B. Watson, Teri Robert, and Dr. Brian Plato lead Runnin’ for Research. Registration: $20 (T-shirts are guaranteed for everyone who registers for an in-person race before October 1.) To register, click on the city names below. Virtual Race: Sign up as a virtual runner if you’re unable to attend a race (use any of the registration forms linked to above). You can run or walk in your hometown that day or just donate your registration fee to support this great cause. Virtual runners will not receive T-shirts. Questions? Visit Runnin’ for Research’s website or email RunninForResearch@yahoo.com for more information. 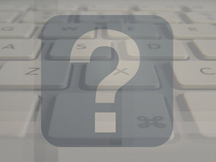 How would you characterize what you read about on The Daily Headache? What topics do you most enjoy reading about on The Daily Headache? kerrie[at]thedailyheadache[dot]com. Answer either or both. Thank you! 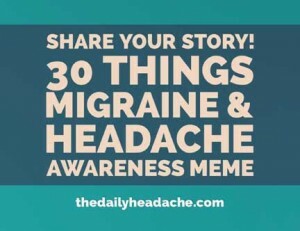 30 Things for Migraine and Headache Awareness: Share Your Story! Curious about other readers’ stories? Here are all the 30 Things posts (in reverse chronological order) from this year and last. 3. The first migraine attack or headache I remember was: in class in the fifth grade. The teacher’s workroom off my classroom smelled of rose potpourri. I probably had attacks before that, but that’s the first one I know was a migraine attack. That smell still makes me panic nearly 30 years later. 6. My comorbid conditions include: depression, otherwise I’m remarkably healthy. 8. In addition to pain, other symptoms I experience include: fatigue and cognitive dysfunction are the worst; the list of other annoying, but not disabling symptoms is too long to tackle—it includes tooth pain, ear aches, cold feet, and frequent urination. 9. Treatments I have tried include: four dozen preventive meds and supplements, dietary changes, Botox, acupuncture, occipital nerve stimulator, Cefaly, Spring TMS, nasal surgery, TMJ surgery, a mouthguard, essential oils, organic food, acupressure, massage, Reiki, Chinese herbs (including scorpion tea), yoga, digestive enzymes… if you’ve heard of it, I’ve almost certainly tried it. 10. During a migraine attack or headache, I: have no energy and can’t think clearly. 11. My migraine attacks or headaches are triggered or get worse when: I eat or am exposed to odors. Currently, I get one almost every time I’m in a public place. 12. The most frustrating part about having migraine or a headache disorder is: not being able to function at the level I know I’m capable of. 13. Having migraine or a headache disorder causes me to worry about: every single thing I eat or drink (sometimes I even worry that water in a different city will be a trigger). 15. When I see ads or articles about migraine or headache disorders, I think: the misinformation seems to be increasing exponentially. 16. My best coping tools are: mindfulness. 17. I find comfort in: reading, writing, my loved ones. 20. Something kind a person can do for me during a migraine attack or headache is: ask me if I want company or to be left alone, and not ask a thousand times how I’m feeling. 22. Having migraine or a headache disorder has affected my work/school life by: changing it entirely. I can only work sporadically, which is frustrating. But I’ve been pleased to discover that writing, which was a peripheral skill in my pre-disability world, brings me great joy. 23. The hardest thing to accept about having migraine or a headache disorder is: not having control. 24. Having migraine or a headache disorder has taught me: experiencing an emotion is a lot easier than running from it. 25. The quotation, motto, mantra, or scripture that gets me through hard days is: I’ve done the impossible before, I can do it again. 26. If I could go back to the early days of my diagnosis, I would tell myself: try a wide range of treatments before even considering surgery. 28. The thing I most wish people understood about migraine or headache disorders is: it’s nothing like getting an occasional headache. 29. Migraine and Headache Awareness Month is important to me because: the social stigma (from friends, family, coworkers, supervisors, teachers, and even health care providers) magnifies the physical symptoms. 30. One more thing I’d like to say about my migraine or headache disorder is: finding a therapist I click with has been invaluable. I have learned to get through a migraine attack without hating the fact that I’m having one, or stressing about everything I’m unable to do, or obsessing about what I could have done to trigger it.